Burning fat can help showcase toned muscles and decrease your overall body size, making it a fitness goal for many people. Although all types of exercise offer benefits for your body and emotional health, walking and running are relatively simple compared to other sports. Both aerobic exercise options have advantages and disadvantages. Both walking and running can improve energy, lower blood pressure, lower cholesterol levels, decrease your risk of disease and make you feel better emotionally, according to FitDay. You can walk and run year-round, provided you wear appropriate clothing and hydrate properly. Aside from the costs of purchasing gear, they’re both inexpensive and can be done alone or with a friend. Because running and walking are both aerobic exercise, they’re considered more effective at burning fat compared to anaerobic exercise alone, such as weight training, according to Medical News Today. Running is more vigorous exercise compared to walking, meaning that you’ll burn more calories and fat while working out. High-impact exercise such as running could be more effective at burning certain types of fat, including subcutaneous and abdominal body fat, compared with low-impact exercises like walking, according to the "Journal of Obesity." Running might also help facilitate fat oxidation in the muscles, breaking down fats more efficiently. High-intensity exercise, including running, also helps raise your metabolic rate and it stays elevated for longer compared with walking, according to "U.S. News and World Report." 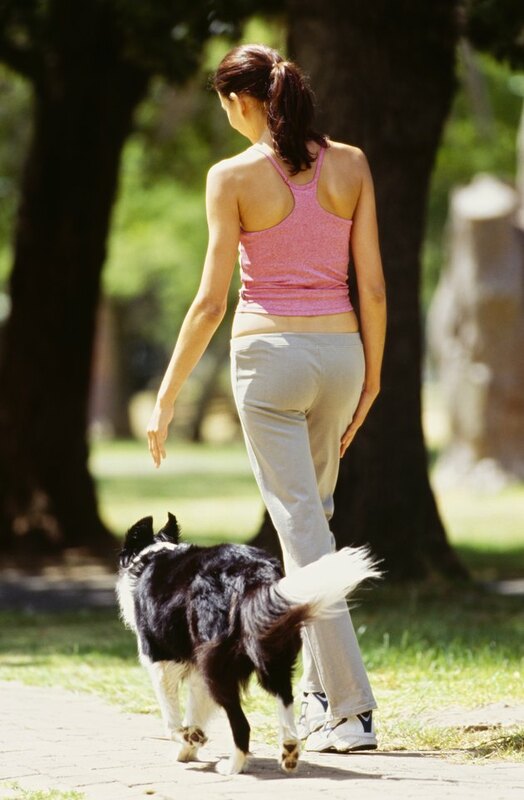 CNN Health states that alternately running and walking in intervals could provide benefits of both. Running is considered a high-impact sport, so it can be hard on your joints. This can be problematic for people who are obese or overweight, since the extra weight will affect your knees and ankles. If you’re injured while running, you won’t be able to burn additional fat until you’ve recovered sufficiently enough to exercise. Walking might be a better long-term plan for fat-burning when it comes to overweight individuals. Low-intensity exercise such as walking might rely more heavily on fat reserves than calorie reserves for completion, making this an effective way to target fat-burning, according to "Edge" magazine. However, low to moderate exercise doesn’t burn fat as quickly as high-intensity workouts. It’s possible to ramp up fat-burning and calorie-burning for walkers by taking on hills and adding plyometrics, such as squats and knee-high steps, according to CNN Health. Walking and running both create opportunities for burning fat, so part of your decision should relate to personal preference. Although running might burn more calories and fat faster, if you dislike running or are only able to run for very short periods, you might exercise less frequently. Committing to regular walking rather than periodic or rare running sessions could make more sense for your fat-burning goals in the long run. FitDay: Walking vs. Running: Which One Is Best? Should I Run Before or After Lifting Weights?